You'll be £4.99 closer to your next £10.00 credit when you purchase Naval Battles of the First World War. What's this? With the Call to action stations in August 1914, the Royal Navy faced its greatest test since the time of Nelson. This classic history of the Great War at sea combines graphic and stirring accounts of all the principal naval engagements - battles overseas, in home waters and, for the first time, under the sea - with analysis of the strategy and tactics of both sides. Geoffrey Bennett brings these sea battles dramatically to life, and confirms the Allied navies' vital contribution to victory. Overall this is a good introduction to the major British naval campaigns of the First World War. It was written long enough after the First World War to ensure that good sources were available from both sides (and long enough after the Second World War to allow a neutral tone). The level of detail is about right for a general history - not too detailed, but with in-depth material when required. Most recent books on this topic tend to focus on a single topic (Jutland or von Spee being the favourites), so despite its age this is still a useful single volume history of the main events at sea during the First World War. 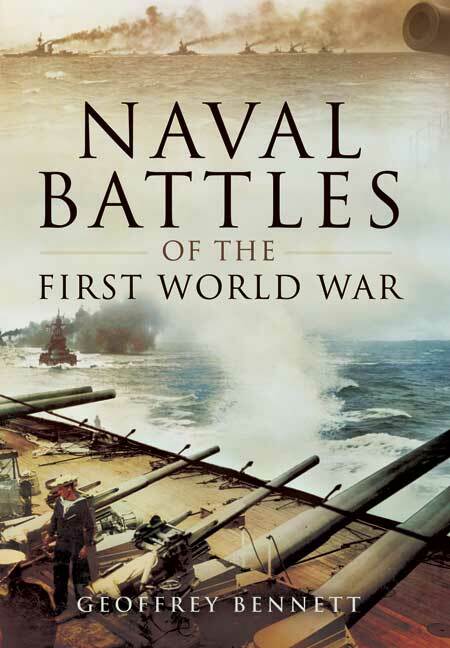 This is an essential history of naval warfare during World War One. It is strongly recommended, providing balanced, insightful accounts and judgements. The illustration is of the highest quality. Captain Geoffrey Bennett RN (1909-1983) served in the Royal Navy from 1923 until 1958. during which time he was Naval Attaché in Moscow, Warsaw and Helsinki between 1953 and 1955. He was a Fellow of the Royal Historical Society and much-acclaimed author of Coronel and the Falklands, The Battle of Jutland, Naval Battles of the First World War, Nelson the Commander, The Battle of the River Plate and The Battle of Trafalgar and Naval Battles of World War Two (both Pen & Sword Military Classics ).